Coast SeismicSafe Inc. Coast SeismicSafe Inc.
Coast SeismicSafe provides customers across Canada with products and services that mitigate the effects of a seismic event in the workplace. We are dedicated to putting your mind at ease by protecting “mission critical” equipment in offices, data centers, hospitals, laboratories and warehouses during an earthquake. WorkSafe™ Technologies, the leader in non-structural hazard mitigation, to provide Canada with a wide range of innovative and effective products to protect your business during a natural disaster. 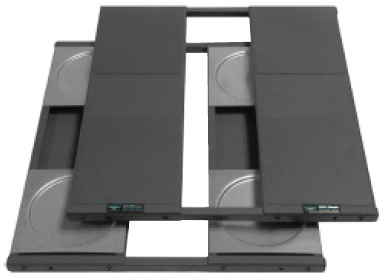 Their cornerstone, the cutting edge ISO-Base™ Seismic Isolation Platform is rapidly becoming the industry standard to seismically protect non-structural, sensitive, high value equipment such as IT server racks and telecommunications equipment. Upsite® Technologies, known as the “pioneering company in airflow management solutions”, to empower data center managers to leverage cost savings and improve key elements of data center operations by regulating and securing airflow. Upsite continues to successfully engineer, design and manufacture a series of precision sealing solutions from their award winning, patented LOK Family of Solutions™ including KoldLok®, HotLok® and AisleLok™. PlenaForm® Systems, manufacturers of the innovative PlenaForm® Baffle System and PlenaFill® Scalable Blanking Panels to solve dynamic thermal imbalances in data centres. Total Source Manufacturing, a single source solution for disposable apparel, cleanroom supplies, safety supplies, lab supplies and medical supplies to offer an additional suite of data centre products including the convenient CLEANtack™ Straight-Edge Adhesive Mat. Copyright © 2012-2019. Coast SeismicSafe Inc. All Rights Reserved.